This Reginox Contemporary White Ceramic 1.0 Bowl Kitchen Sink is from the Regi-Ceramic range, made from the highest grade fine fireclay it is able to withstand the daily uses of the kitchen. 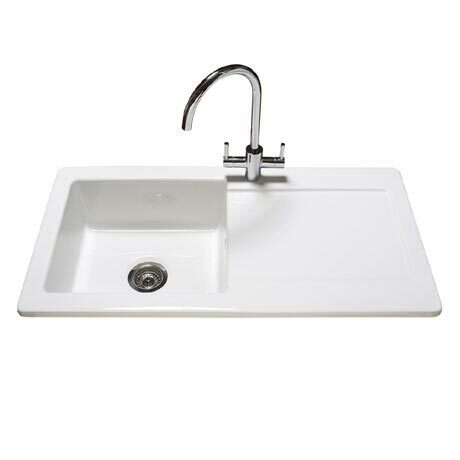 This inset sink requires a minimum cabinet size of 600mm and has a fully reversible drainer. A polished chrome basket strainer waste is also included. Reginox ceramics offer a stylish contemporary or traditional alternative to other materials. With many different styles available to choose from Reginox ceramics offer something to suit all kitchens. This great looking sink comes with a 10 year manufacturers guarantee.